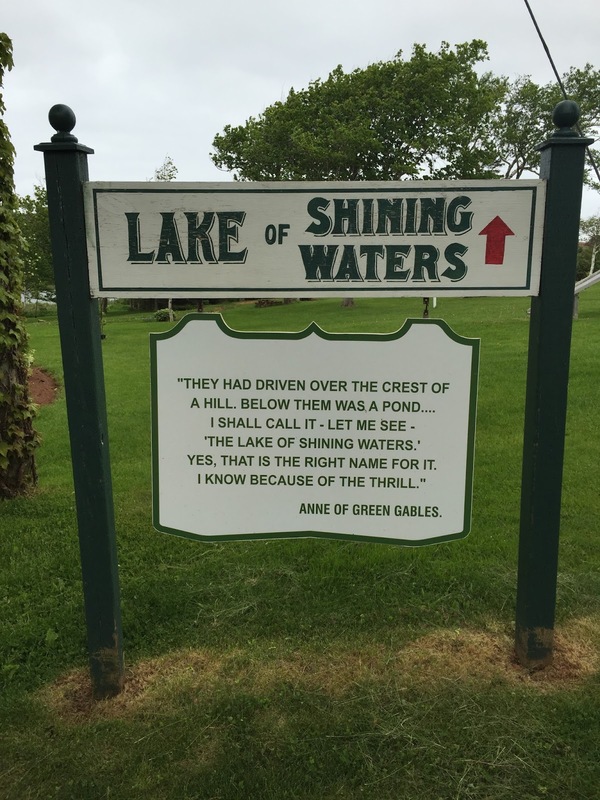 We started off the day by heading in the wrong direction and then turning around to see our final Anne of Green Gables destination, the museum in Park Corner, PEI. 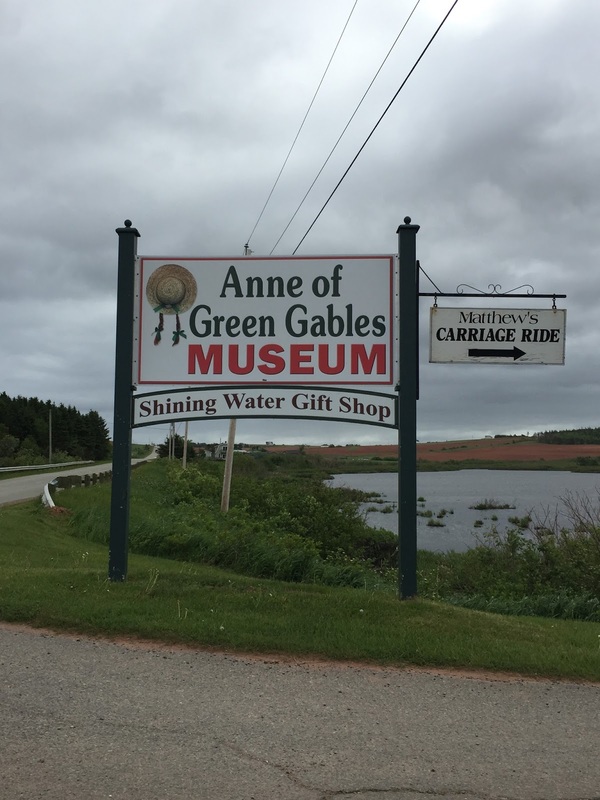 In several guidebooks we saw, not only was the town of this location listed differently, but so are the times that it’s open, so I’d like to clarify for the general public that at this time of year, the Anne of Green Gables Museum is open from 10-4 and it is located in the town of Park Corner along Route 20, NOT in Kensington (we are very grateful to the folks in the pub there who turned us in the right direction). 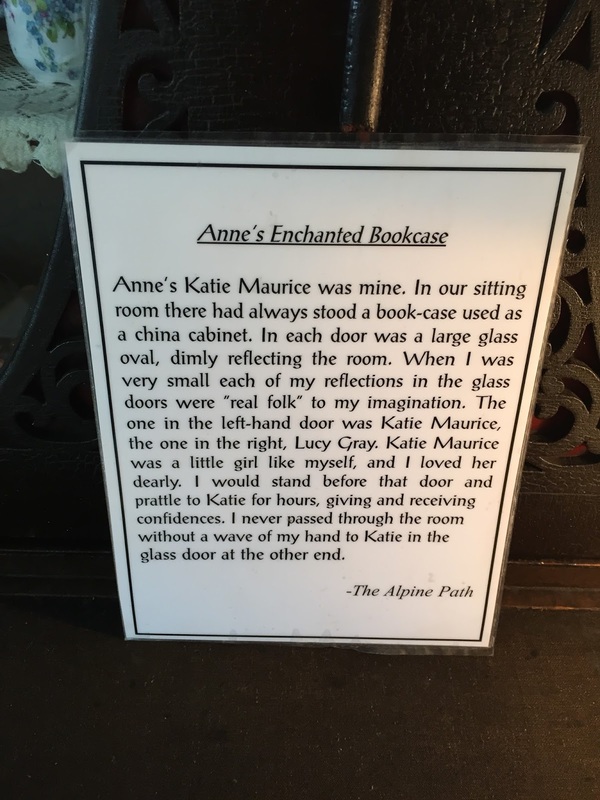 And Katie, Anne’s imaginary friend in the looking glass was actually LMM’s real life imaginary friend, her reflection as seen in this bookshelf. One of the most surprising things on this trip, especially for Ashley who’s read all of her books (several times) is how much of LMM’s real life, experience, and places were woven into her stories. One might even go so far as to say they are fictional autobiographies and memoirs perhaps?! 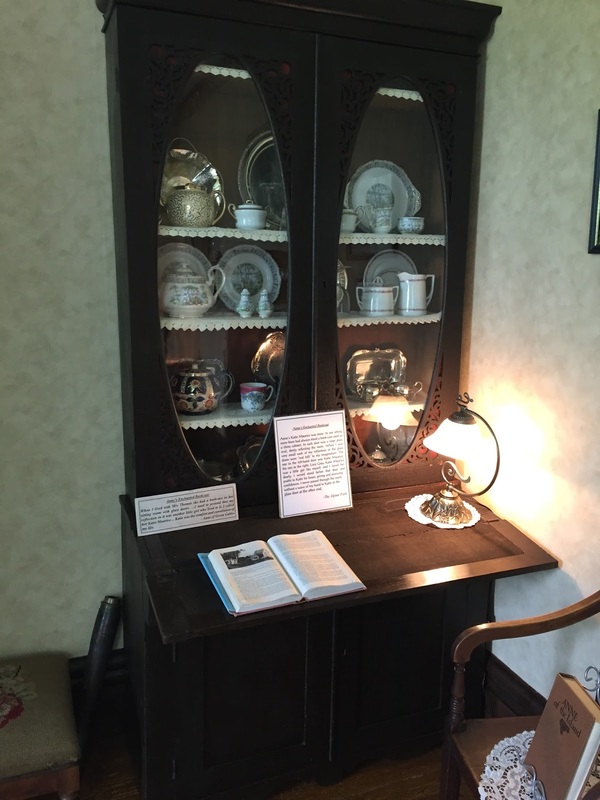 After a chilly, windy, sort of rainy walk around the property of the museum, we headed to Dalvay By The Sea where the exterior shots of the White Sands Hotel were filmed, where Anne is writing and pages of her book go flying in the wind. The inn is located just inside PEI National Park and as soon as we saw it we knew we had to come back for lunch. We were the only ones in the dining room and were able to wander around the gorgeous rooms when we were done. It was lovely! Then we made a rash decision to just drive up the north coast all the way to the easternmost point of the island. We stopped at the visitors center in St. Peters and met the most wonderful lady! She and her husband have been farming potatoes for over 20 years and have 48 acres. We learned that 70 percent of ALL the potatoes grown on this island go to Cavendish alone. If you could see the scope of the fields here, this would blow your mind. That means, all those crazy Anne of Green Gables tourists eat a TON of fries. Holy cow. She also told us that when they harvest the potatoes, they have to sort the golf balls from the crop. What?! Apparently, when islanders get bored, they use the farm fields as their own personal driving ranges! Not so fun for the farmers who get fined if a golf ball breaks the blades of a fry cutter. As we headed up the coast, we saw more vistas and lighthouses. This one was located at Shipwreck Point in Naufrage which sounds like it should be a cheese, but it means Shipwreck in French. We made it to East Point Lighthouse just before they closed and ran up the lighthouse to see the waves rolling in. There was a big pile of sea glass on the counter when we got there and I’m dying to hit the beaches to find some. On the way back we stopped in North Lake Harbor which is apparently the tuna capital of the world, where they catch record size fish and anglers from everywhere come to compete. There was also a windsurfer there who was taking advantage of the epic waves. Everything was closed when we got back so we went to the Blue Mussel Cafe in North Rustico Harbor again. The food here is great and the people who own it are even better. They treated us so kindly and welcomed us back! We talked to the owner for a while about the island and learned that 80% of the world’s mussels come from PEI. It’s incredible. We’ve seen the mussel “farms” all over the bays and it’s incredible to think of the places those little shellfish will go. The owners also run a restaurant in Honduras and split their time between here and there. Most of the permanent residents on the island work in one of three industries, farming, fishing, or tourism. In fact, those in the tourist industry are unemployed for months out of the year until the season begins again. One thing we absolutely love about this place is how utterly kind and helpful everyone has been. The locals have asked us where we’re from, offered incredible suggestions on places to see, and have even helped us find our way when sitting at a stop sign. This island has a very pristine coastline, in fact as we were driving the cost today, we passed dozens of farm fields will million dollar views, yet we learned that there are no land preservation laws here. The desire is for most of the land to be used for farming and agriculture, and the farmers receive government subsidies. It is beyond refreshing to see land revered in this way and kept so unspoiled not because it’s mandated, but because there is an appreciation and a conscientious use of it. We did look up some real estate on line, you know, just for kicks, and discovered we can buy a water view lot $25,000. I’m not even kidding. Some of the really large homes here with giant windows that look out on the water, run about $250,000. 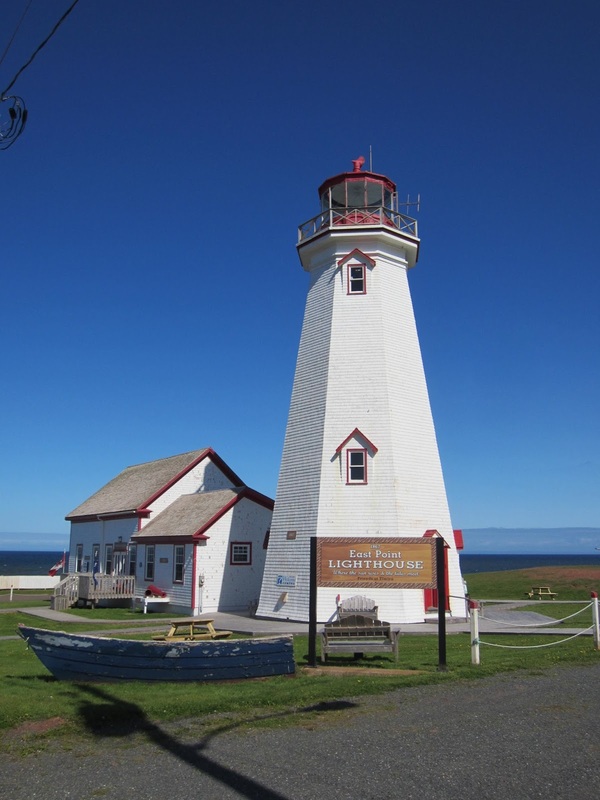 Forget the Hamptons, let’s move to PEI!! !